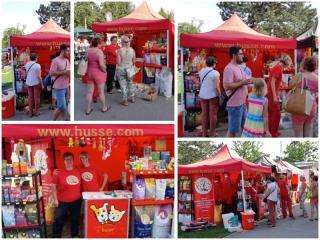 End of April Husse was present at fair "Flora Olomouc" in Czech. There were more than 80 000 visitors in 4 days, they came from all over the country and also from Poland and Slovakia. Also from 28th till 29th of April Husse took part in Dog Show of Nordic dogs in Lipno in Czech Republic. There was approximatly 350 breeders attending this event. 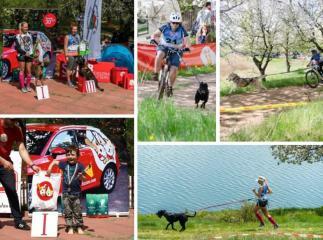 On the 21st of April Husse sponsored an annual event Spring Race 2018 in Bulgaria. Click here to see all pictures from this event. Last week Alexander, master of Husse Norway together with distributor Vivi did their first shop in shop. 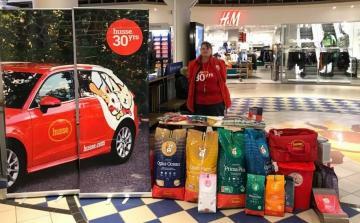 They had stand in Shopping mall in Sarpsborg, Østfold. They gave away a lot of samples and got new customers in that area. Recently many Husse Masters are focusing on this type of activity and we think it is a great way to do direct marketing and get new customers.